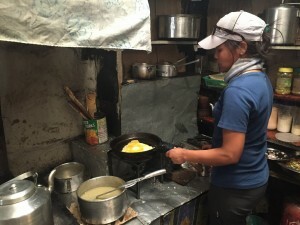 Our day 5 is a beautiful write up from Jess Rodriguez Williams! 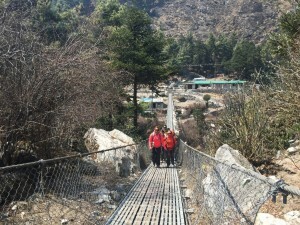 Well the journey for Courageous Girls, from Namche to Deboche – was nothing like that. At least for me, Jessica Rodriguez Williams. 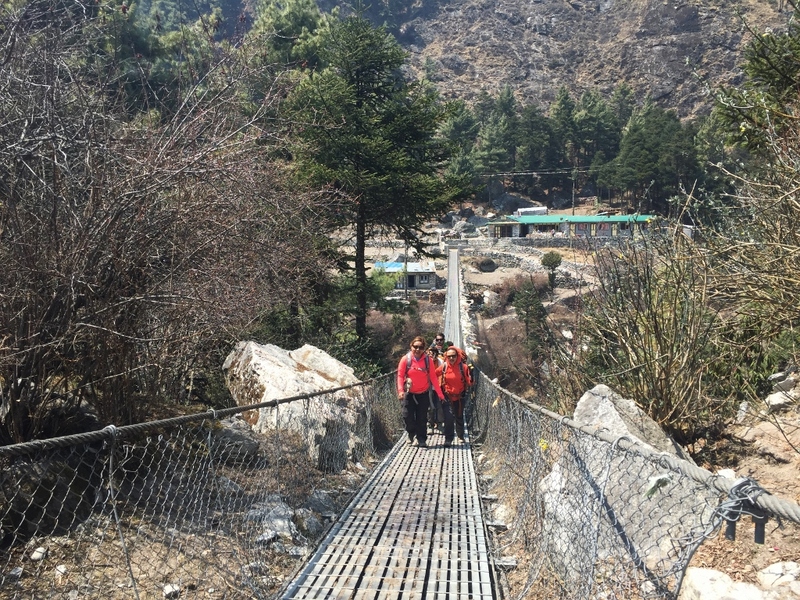 Trekking from village to village, from hotel to hotel, one is reminded constantly, of the ways in which American films depict people and their cultures in ways that are not necessarily accurate or flattering. 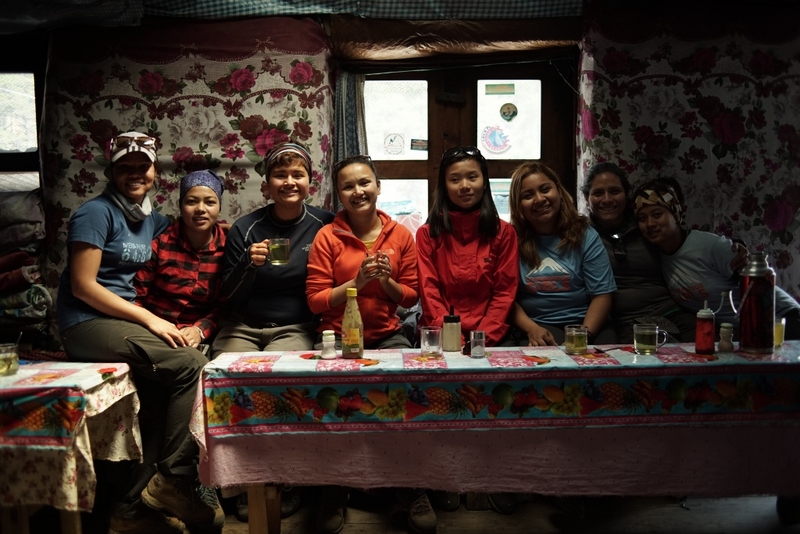 With each step, labeled as an American, as a foreigner, a tourist for that matter, I wondered behind the experienced young women who have already been to the base of Mount Everest and back. 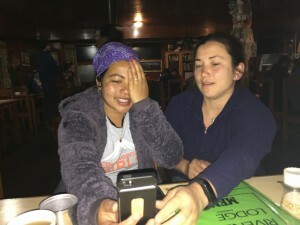 With all the labels and identities burdened upon me from the States, weighing heavier than my trekking gear in my back pack, I found that I was having a tough time being present and accepting the love and sincere kindness from the Nepalese and from my new comrades. 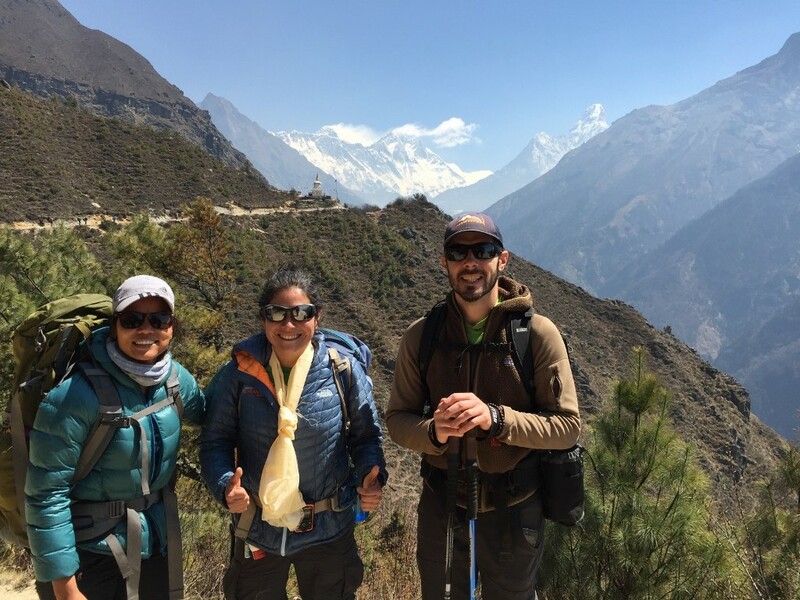 Not only were they forward about the need to keep moving up the trek, but they were also very compassionate, with a “certain Nepali” twist. 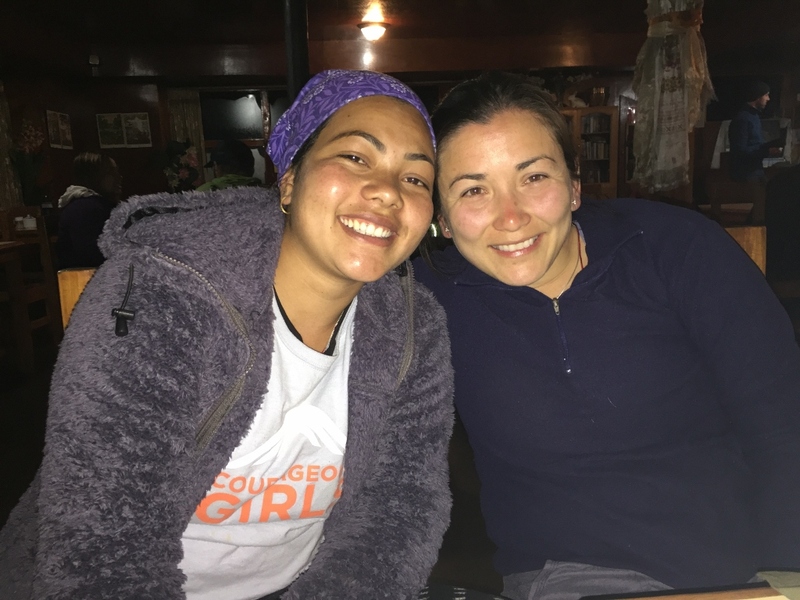 Giggles, hand gestures and energy for days, the Nepali Courageous Girls are definitely not lacking in their ways of inspiring me with their authenticity and openness. 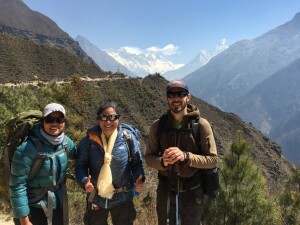 Constantly asking if the new hikers, (such as myself and a few others), were breathing correctly, in need of a break or if we were thirsty for water. The Courageous Girls experienced Nepali chapter, compassionately and at times, forcefully, would say when they felt need for us to drink water and gladly stopped and got our bottles out of our packs for us. It’s as if they know our needs more then we on the trek allow for ourselves to ask for. 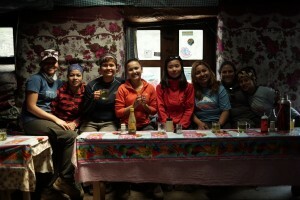 With the Courageous Girls experienced Nepali crew, there is no ego. To some, it’s just a simple gesture, but for someone to offer me water, as steep hills turn into mountains and shrubs turn into trees forced to one side by the brisk air; I cannot help but love the Nepali Courageous Girls chapter for simply walking with me on the relentless trek as steep hills turn into heavy metaphors for every pain I have ever had to slowly overcome, as I relive them in my head on the trek. Brisk wind, monks walking in traditional dress, concerned with other worldly puzzles, young, devoted men, most, close to my age – 24. They stopped and watched us for a bit, the same as we all watched them in silence. Some people take pictures, but I don’t, I’d feel weird if the Monks took pictures of me existing. I try to be considerate. I try. We waited for the rest of the crew to catch up to us so that we could all enter the monastery. 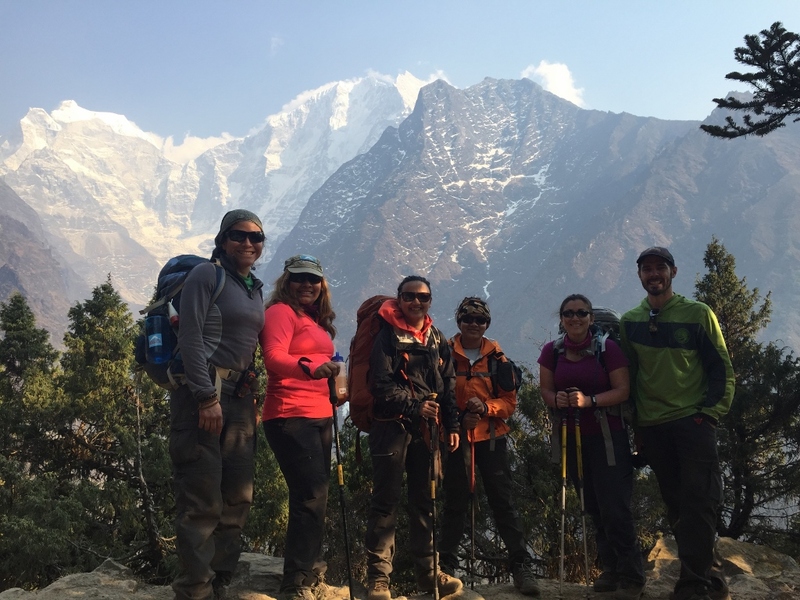 While we waited, I and a few of the Courageous Girls from the Nepali chapter looked in awe at the mountains with snow tips soaring above us. We huddled together loosely so that the Nepal, cold air would be less impactful and more encouraging for us to make our way up the stairs as the rest of our team arrived. Steep steps. Like the steep hills, to get to the Buddhist Monastery. Removal of shoes, never mind the cold air, that smug American entitlement and ego immediately humbled by the sight of a Buddhist monk unlocking the monastery door so that we may all humbly enter. Mouth ajar, eyes upward towards the ceiling to embrace the art of worship above me, I know instinctually, is hand drawn with love, devotion and discipline. As we all hold our breath and enter the monastery, I see in front of me a massive, gold Buddha. One that invoked in me the instant energy of compassion, love and humility and ironically, all knowingness. The Buddha was surrounded by other hand carved deities I’m too ignorant to know of by name. To a more Western lens some of the deities may have looked ominous, however, I know that the colors of blues, oranges and greens and reds bore no ill will and only welcomed the naive newcomers with open eyes and heart. A Buddhist monk allowed for us to light candles with and intent, or prayer or wish, attached to it. We all lit a candle and had our humble moment before the great Buddha, where no judgement, time or manmade sense of urgency was necessary. After the lighting of the candle, the Buddhist monk called us to the center where he and the other monks chanted and worshipped and meditated together; however, in this moment, the only evidence of that was the already placed seat cushions left until the next time of worship. We then were offered a blessing by the monk, about my age, no less, who recited a mantra as he tied a red string around all of our necks, one by one, rarely stopping to breathe. Now, as I’ve been on the trek for about a week now, and have endured numerous forms of weather, I have yet to have had a chill come over me. However, as I waited for my blessing, within the Buddhist monastery, I was bestowed upon so much positive and loving energy, I inexplicably and uncontrollably shook for an instant. Causing me to humbly embrace my surroundings, my power, and the love being sent towards me. That’s when I knew – my blessings have been upon me since my very first step in Nepal. A group shot with the views! With one of the Tengboche Lama’s who gave me a special blessing and also altitude medicine as his father and brother will be climbing Everest this year too. Dr. Jackie providing an eye exam to Sunita who had some issues with her sight. A very happy patient and Dr!